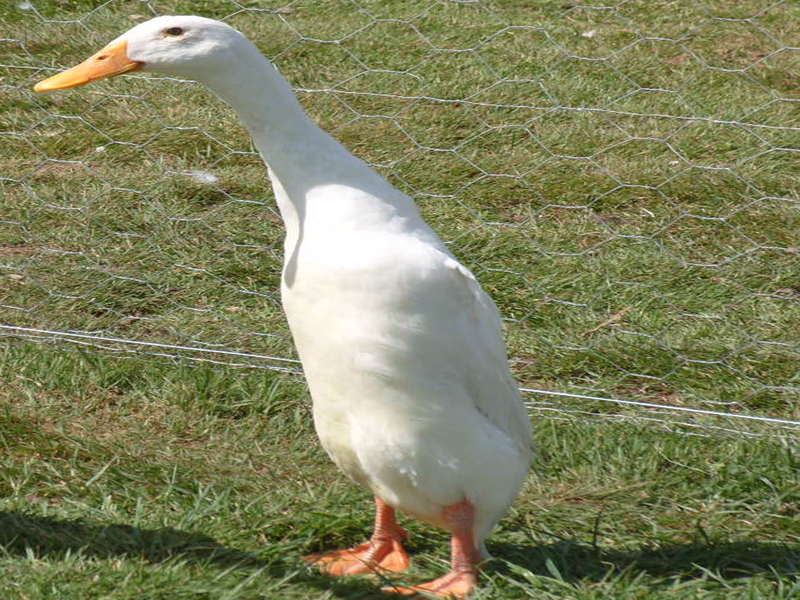 Some duck breeds are very popular for egg production. Egg laying ducks become medium sized. Feathers, lips and legs are of various colored. Feather always get disarranged. Crop seems bigger than their body. Bone of chest become very thin and soft. Contain less fat in their body. Indian Runner, Khaki Campbell, Zending etc. are highly egg productive duck breeds. Characteristics of some egg productive ducks breed are described bellow. Indian runner duck originated form India. They are small sized duck. Feather color is white like milk. They stay in both water and ground. The beauty of their feather get damaged if they can’t swim in the water. They have three variant. Among them white one is most popular. The color of their egg is white. Lay about 250 eggs per year. Adult male duck weights about 2-2.5 kg and female duck 1.5-2 kg. Their body is light, long and globular. Head is small and flat. Lips are orange or yellow colored. Wings are comparatively smaller than body. Feathers are well arranged and tight. Khaki campbell duckoriginated form England. Mrs. Campbell, quin of England first introduced khaki campbell duck. They are of medium sized. They gain about 1.5-2 kg weight within two months of age. Adult male duck weights about 2-2.5 kg. Adult female weights about 1-1.5 kg. Body is deep, wide, light and front side globular. Tail is comparatively short and skate. Lips are medium sized and greenly blue colored. Neck is short, straight, smooth and medium long. Lay about 250-300 eggs per year. Zending duck originated form Zending of China. Their size is like campbell duck. Their feather slightly khaki, brown and full with numerous black spots. Legs and lips are brown colored. They lay about 200-250 eggs per year. Their eggs are slightly green colored. Adult male duck weights about 1.5-2 kg and female duck weights about 1 kg. Zending duck is very suitable for farming in salted area. Feather of head and neck is bright green colored. They gain maturity within 110 days. This breed originated from Bangladesh. 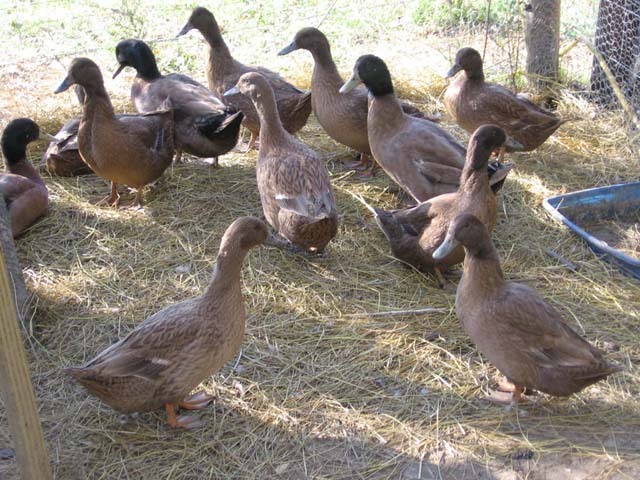 There are about 95% of deshi ducks among the all ducks of Bangladesh. Their meat is very tasty. Neck is comparatively smaller than their body. They are of various colored. They weights about 1 kg on an average. Lay about 60-70 eggs per year. Small sized and expert in baby rearing. They love to stay in water. Egg producing efficiency is very low. Very suitable for the weather of Bangladesh and other Asiatic countries.